At myLifeSite, our primary objective is to provide consumers with the tools and information they need in order to make an educated decision about their senior living options. But in order to do that effectively, we have to understand who our customers are—what factors are most important to them when considering senior living communities, such as continuing care retirement communities (CCRCs, or “life plan” communities). 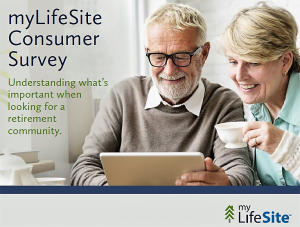 This is why myLifeSite recently conducted a consumer survey in an effort to learn more about what older adults are looking for in a CCRC. 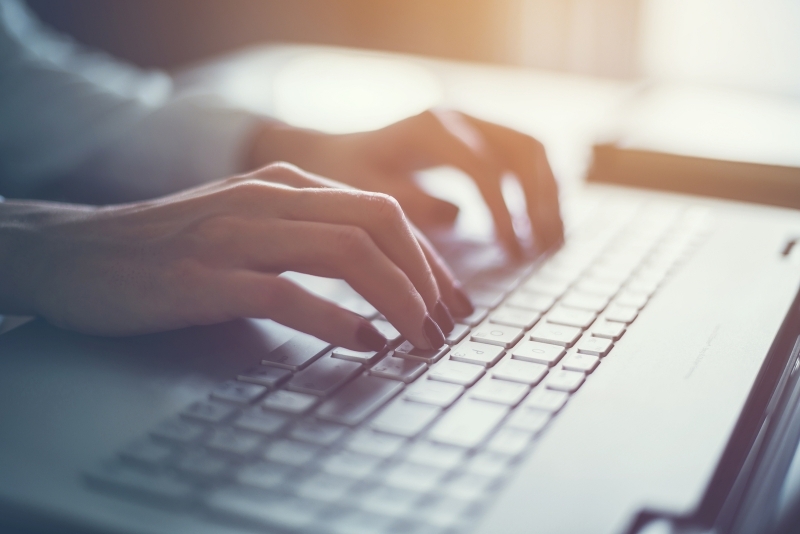 We sent out a brief anonymous online survey to our list of over 5,500 consumer contacts, and we received responses from 223 people, 218 of whom are actively engaged in the process of researching CCRCs for themselves or a loved one. Nearly half (45.3 percent) of respondents were between age 65 and 74. The majority of our survey respondents (74 percent) have been researching CCRC providers for longer than one year, more than a quarter have been researching CCRCs for more than three years, and over 11 percent have been doing research for more than five years. This statistic alone shows how much thought and time are going into seniors’ CCRC decisions. In our survey, we found that, among these common motivating factors, the top reason that prospective residents were looking at CCRCs was to ensure they would have access to a full continuum of care services. Two of these concerns stood out from the others in our survey’s responses: personal financial affordability and concerns about the overall financial viability of the community. One of the interesting results we uncovered in the survey: When cross-tabulated with age, it becomes clear that the concern about affordability decreases with age. Among these options offered on our survey, there were three that respondents prioritized over the others, and these three were rated nearly identically: the availability of lifelong learning classes, residents having a voice in management decisions, and flexible transportation services or ride-share programs. Interestingly, there were some survey questions that were clearly impacted by the age of the respondent—the value of certain services and amenities or reasons for considering a CCRC that became more or less important with age. For example, the importance of reducing the burden on adult children increased with each successive age range, whereas concerns about a CCRC’s affordability decreased with age. We would like to thank those who took the time to share their personal thoughts about CCRCs and their own research process; your insights are immensely valuable to us here at myLifeSite as well as to administrators within the CCRC industry. We have compiled an in-depth analysis on the responses we received from our consumer survey, and we are excited to be able to share this free report with you. Within our analysis, we take a deep-dive into some of these questions, including interesting age-related insights that the survey uncovered.